Walt Disney Animation Studios brings the world premiere of their new short Inner Workings to the Annecy Festival, as well as never-before-seen footage from their upcoming feature Moana, presented by legendary directors John Musker and Ron Clements, 17th June at 10:30 am (Bonlieu, Grande salle). Walt Disney Animation Studios returns to the Annecy International Animated Film Festival with the renowned filmmaking team of Ron Clements and John Musker (The Little Mermaid, Aladdin, The Princess and the Frog) to present a never-before-seen exclusive preview of the upcoming comedy adventure film, Moana, which features an adventurous teenager who, with help from demigod Maui, sails out on a daring mission to prove herself a master wayfinder and save her people. Moana directors Ron Clements and John Musker made their writing-directing debut on the 1986 feature The Great Mouse Detective. They went on to write and direct beloved Disney classics, including the undersea adventure The Little Mermaid in 1989, the hilarious hit Aladdin in 1992, 1997’s epic comedy Hercules, Treasure Planet in 2002, and most recently, 2009’s The Princess and the Frog. 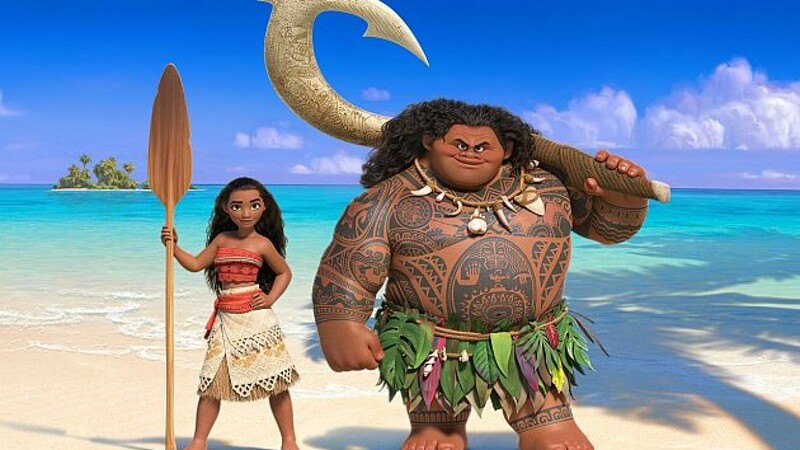 Damit keine Missverständnisse auftauchen, Moana wird in Deutschland unter dem Titel VAIANA in die Kinos kommen, Grund sind Rechtsansprüche, die im deutschsprachigen Raum bezüglich des Namens MOANA erhoben werden. Walt Disney Animation Studios will also showcase the world premiere of the all-new short film Inner Workings, presented by director Leo Matsuda (story artist, Big Hero 6 and Wreck-It Ralph) and producer Sean Lurie. Inner Workings is the story of the internal struggle between a man’s pragmatic, logical side and his free-spirited, adventurous half. Created by a small team at Walt Disney Animation Studios in a unique, fast-paced style that blends CG and traditional hand-drawn animation, the short explores the importance of finding balance in daily life. The film will be presented in theatres as an opening to MOANA.